In this practical you will learn to map NGS reads to a reference sequence, check the output using a viewer software and investigate some aspects of the results. You will be using the read data from the Quality Control practical. EHEC O157 strains generally carry a large virulence plasmid, pO157. 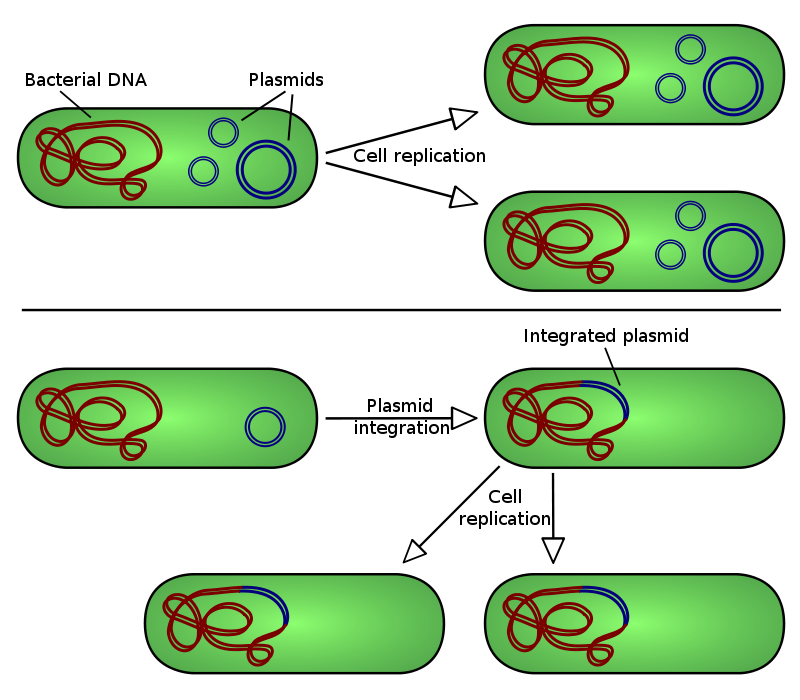 Plasmids are circular genetic elements that many bacteria carry in addition to their chromosomes. This particular plasmid encodes a number of proteins which are known or suspected to be involved in the ability to cause severe disease in infected humans. Your task in this practical is to map your prepared read set to a reference sequence of the virulence plasmid, to determine if the pO157 plasmid is present in the St. Louis outbreak strain. You will need a reference sequence to map your reads to. This file contains the sequence of the pO157 plasmid from the Sakai outbreak strain of E. coli O157. In contrast to the strain we are working on, this strain is available as a finished genome, i.e. the whole sequence of both the single chromosome and the large virulence plasmid are known. Indexing the reference is a necessary pre-processing step that makes searching for patterns much much faster. Many popular aligners such as Bowtie and BWA use an algorithm called the Burrows–Wheeler transform to build the index. Before downloading the data in tablet, we have to convert our SAM file into BAM, a compressed version of SAM that can be indexed. - g gi|10955266|ref|NC_002128.1|:8000 will take you to a specific location. A frequent application for mapping reads is variant calling, i.e. finding positions where the reads are systematically different from the reference genome. Single nucleotide polymorphism (SNP)-based typing is particularly popular and used for a broad range of applications. For an EHEC O157 outbreak you could use it to identify the source, for instance. The first five columns are CHROM POS ID REF ALT. Use your left and right arrows to scroll horizontally, and q to quit. How many SNPs did the variant caller find? Did you find any indels? Where do reference genomes come from?